The Keyang HC-14K, Industrial 14” Chop Saw has an ergonomic structure with a ‘D’ type handle and a body base for extra user safety. Safety wheel cover and reduced start up to the spark guide design make this chop saw highly efﬁcient and user friendly. 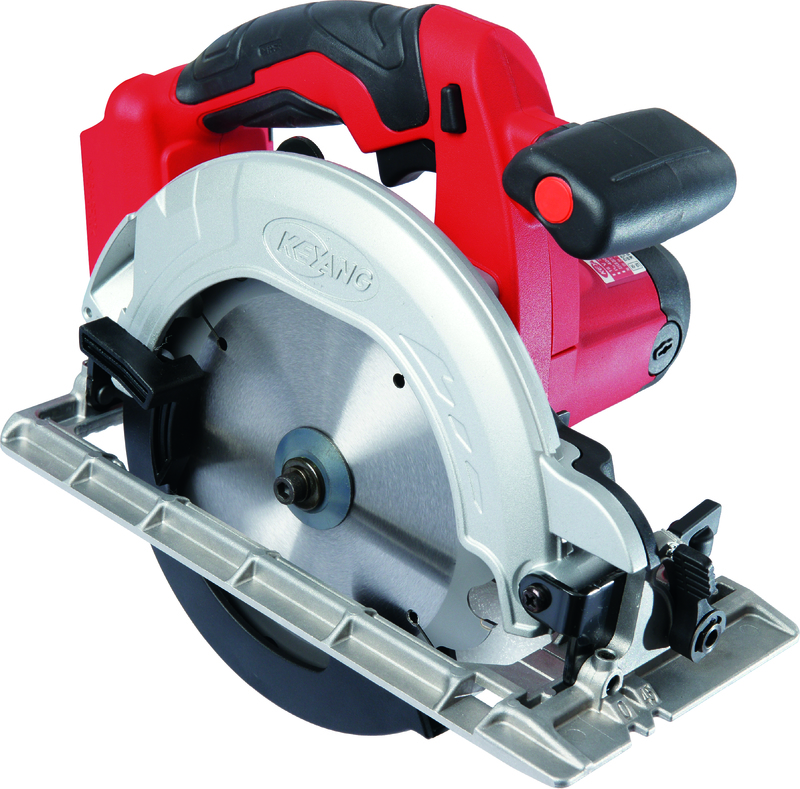 The Keyang CS–1800L industrial Cordless Circular Saw is lightweight and compact, yet very powerful in it’s class. The use of the Li-ion batteries help keep the weight ratio perfect, along with ergonomic and soft grip handle, all of which keeps the user’s experience high. Fitted to the machine is a dust nozzle and blower to help extract dust whilst working. There is also a battery charge-control indicator which informs the user when the battery is running low and ready for a fast charge in the Rappid charger unit. 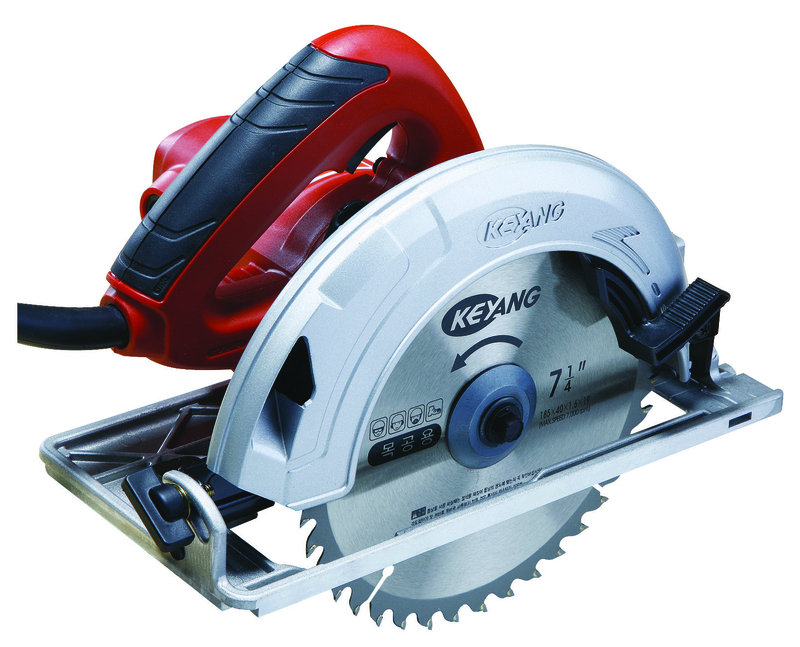 The Keyang CS-7S is a lightweight high powered accurate Circular Saw. It has a powerful blower to clear dust in line with cut and soft rubberised handle grip for user comfort. The weight of the tool has been reduced by the slim motor used. It is also ﬁtted with a constant speed controllor for continuous power. 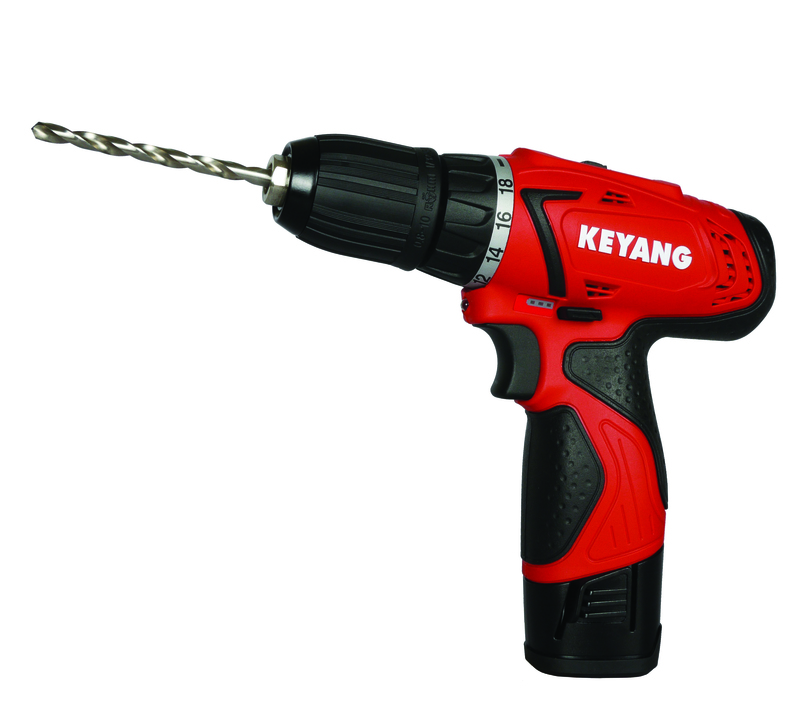 The Keyang Industrial Cordless Reciprocating Saw is ergonomically designed to maximise user comfort. It has a clever orbital feature which allows for consistent working efficiency on different materials. With easy saw changing and 3 step saw depth adjustment, flexibility of this machine is optimised. 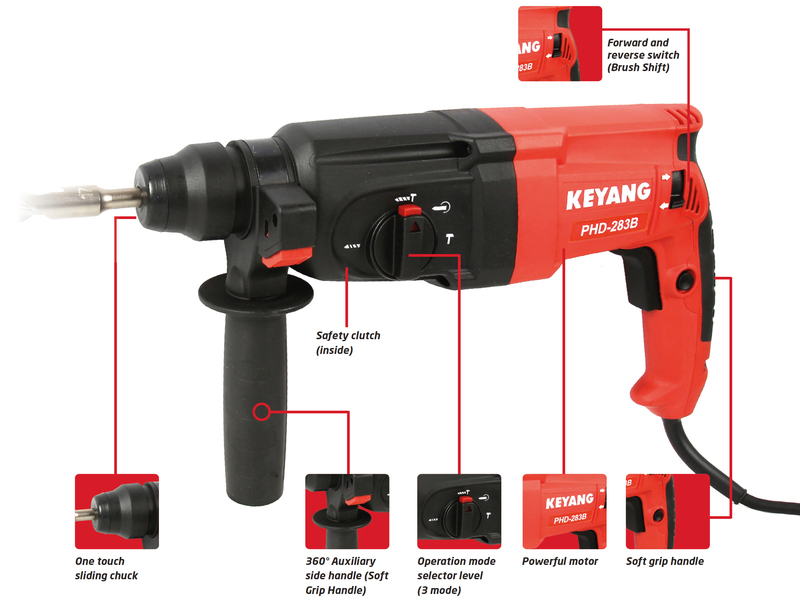 The PHD–283B is the latest addition to the Keyang 2kg Rotary Hammer range, featuring a powerful 800W motor. And fitted with a one touch sliding chuck for easy bit installation and removal. The drilling capacity is 28mm(concrete) and has 3 modes of operation which includes hammer, drill and chisel. The PHD283B is a true industrial drill which is both robust and lightweight for easy user capacity. 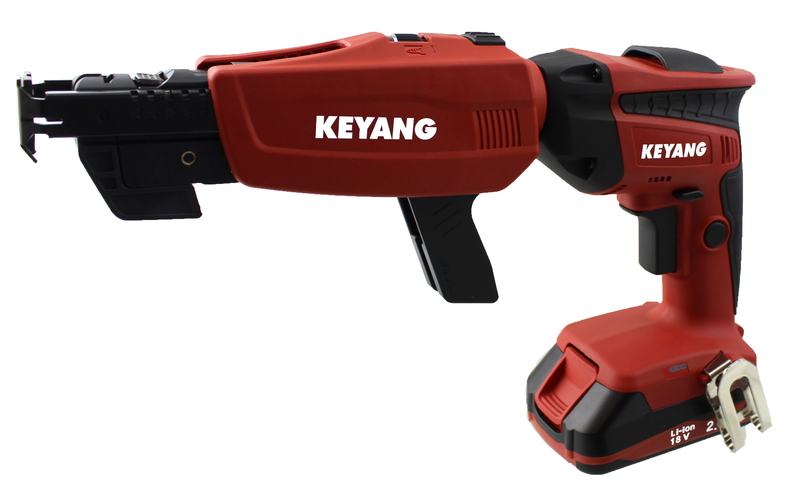 New to The Keyang range is the ASD-1800L , a comfortable, light weight 18v Collated Screw gun, design features include an ergonomically designed rubberized pistol grip, 2-finger trigger for comfort & control and a battery charge indicator. 1 . Quick screw length adjustment from 20 to 57mm 2. Simple dial for screw depth adjustment 3. Quick release of the Magazine to convert for single nose or use to remove unused screws 4. 5000rpm Keyang Built 4-pole motor 5. Comfort Design – Ergonomically designed rubberized pistol grip, 2-finger trigger for comfort & variable speed for control 6. 3 L.E.D Battery charge indicator 7. 2-finger trigger for comfort & control, along with Forward reverse, Trigger-on lock and variable speed trigger control. 8. Easy Guide for fast loading of ICCONS replacement screw strips and the Anti-tilt devise prevents screws from swaying while fastening. The Keyang DDH-1801L-2S is compact and lightweight with a powerful motor for efﬁcient working use. The Li-ion battery provides a full charge every time thanks to no memory effect. The cushion grip handle aids increased comfort in the grip zone. Built in LED light helps with work in conﬁned spaces. 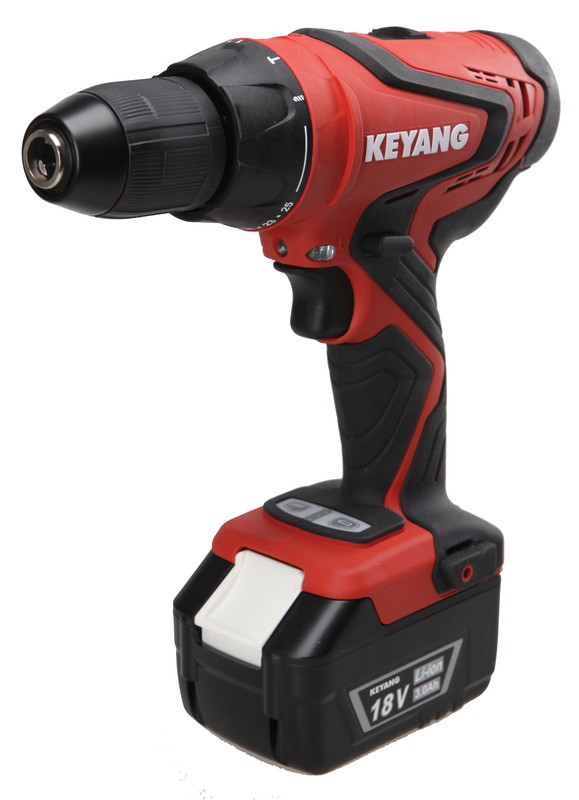 The NEW DD-1202L-2 is the next generation of Keyang’s compact and lightweight Cordless Drill Driver. The new model has further improvements in handling for the user. It has a keyless chuck with lock function with 18 driver settings and 1 drill setting. 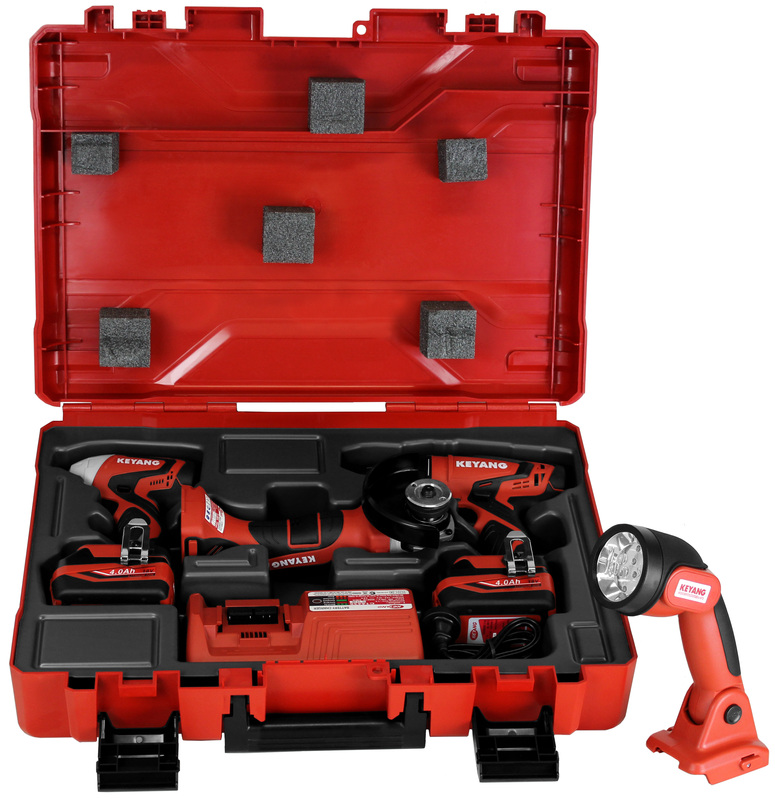 The built in LED light helps with work in conﬁned dark spaces and it also has a state of the art indicator which identiﬁes how much charge in the machine is left. 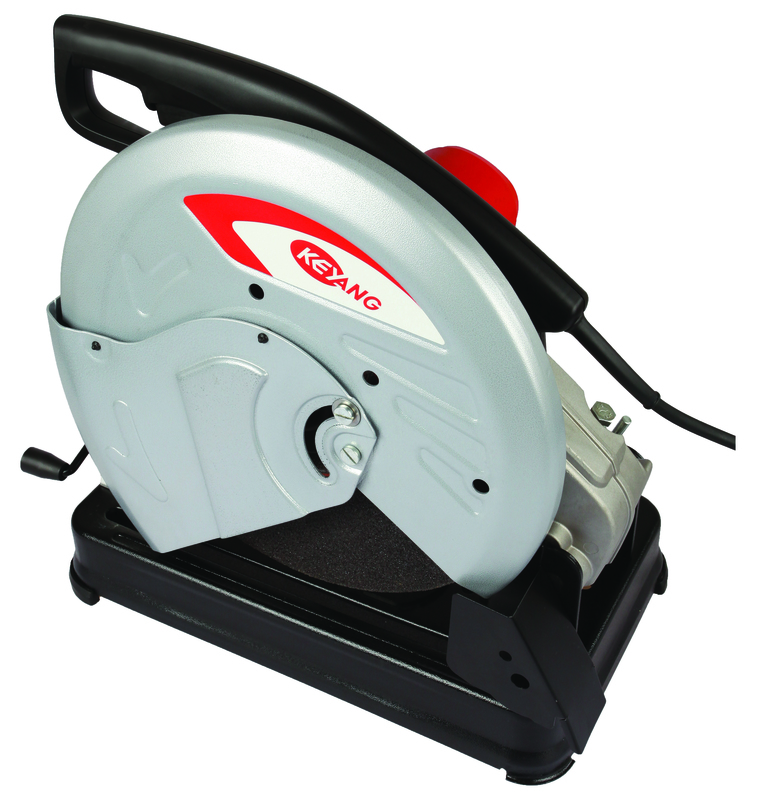 The Keyang DG-924AVT (S/S) Angle Grinder has an anti-vibration side handle. The 180o rotatable rear handle is ideal for varied working angles. Its anti-vibration rubber grip rear handle and soft start are optional with all the latest design features for user comfort. ‘D’ handle is also optional.